I Spy Animals: Ever See A Mammal With Three Horns? Ever See A Mammal With Three Horns? 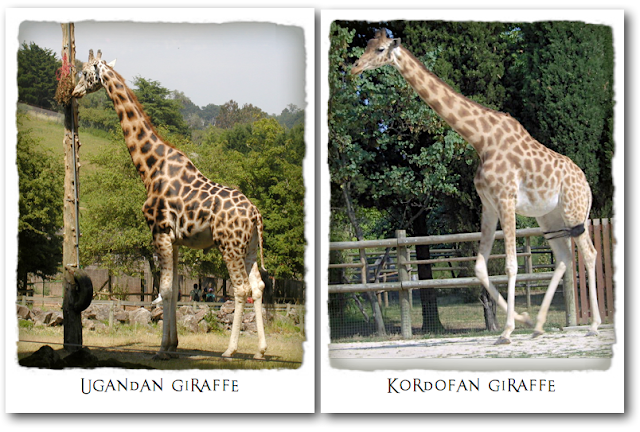 If you did, it would look like the Ugandan (Rothschild) giraffe! Check out his third horn in the following picture; he's the only giraffe that has it! I love his droopy lip and bumpy nose. And speaking of their horns, or more correctly ossicones, there's a way to tell a male from a female giraffe by looking at their horns. If the horns have long black hairs on the top, they tend to be female. If the horns have short black hair and a bald spot on top, it's probably a male; they fight each other with their horns and knock off the long hair. 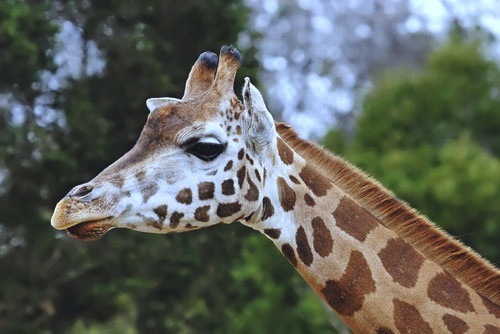 So do you think the giraffe above is male or female? 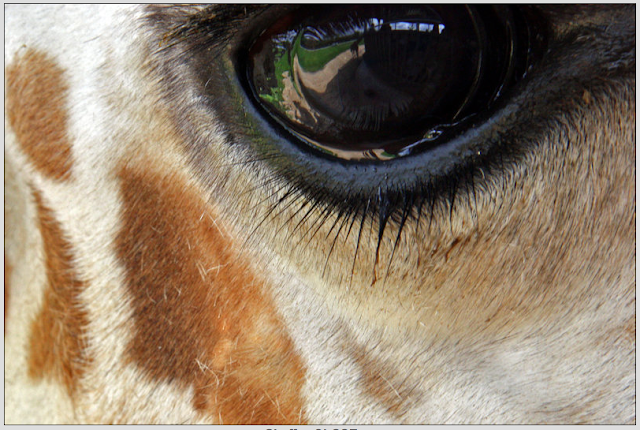 And below there's the Kordofan...one of the smaller giraffes. They look very different in color, don't they? And the Ugandan has almost a turtle-shell pattern on his back. 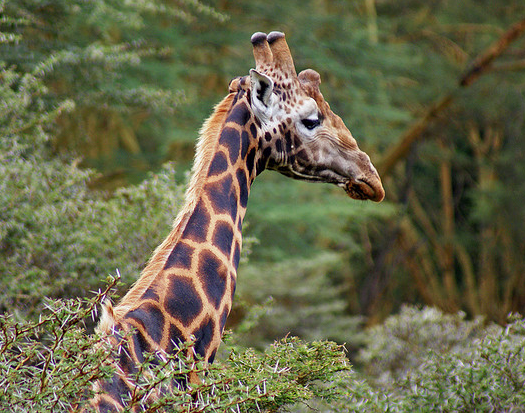 Next post, we'll look at the tallest mammal on earth...my favorite, the Masai (Maaah-siiiiiiiiiiiiiiiiiigh) giraffe!